Tire prices starting at $64.99. We meet or beat the competition’s prices on the tires we sell and give you the extra savings. Plus tax and California tire fee. Cannot be combined with any other special offers or discounts. Must present coupon at time of write-up to receive discount. Not valid on previous purchases. Valid only at Norm Reeves Honda Huntington Beach. 19131 Beach Boulevard, Huntington Beach, CA 92648. Mud Guards, Cross Bars, All-Weather Floor Mats, Roof Racks, Protection Packages, Alloy Wheels, Cargo mats, Cargo Covers, Spoilers, and more! Plus tax where applicable. Tax applied after discount. Cannot be combined with any other special offers or discounts. Must present coupon at time of write-up to receive discount. Not valid on previous purchases. 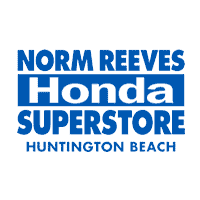 Valid only at Norm Reeves Honda Huntington Beach. 19131 Beach Boulevard, Huntington Beach, CA 92648. Installation included. Plus tax and shop supplies where applicable. Cannot be combined with any other special offers or discounts. Must present coupon at time of write-up to receive discount. Not valid on previous purchases. Valid only at Norm Reeves Honda Huntington Beach. 19131 Beach Boulevard, Huntington Beach, CA 92648.